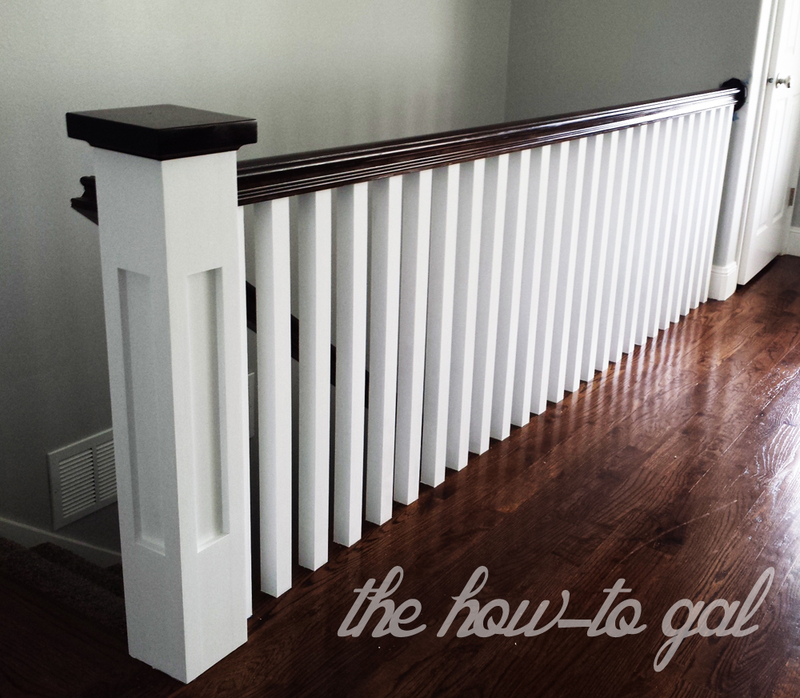 I posted a beauty shot of my new banister to Instagram the other day. And today you're going to hear, "the rest of the story." You may recall one of the first images I posted of the ol' banister. Sitting solid in its honey oak, maroon world. But we all knew there was so much potential with those vaulted ceilings and natural hardwood floors, we looked past the horrid color combo. First we painted the wall gray. 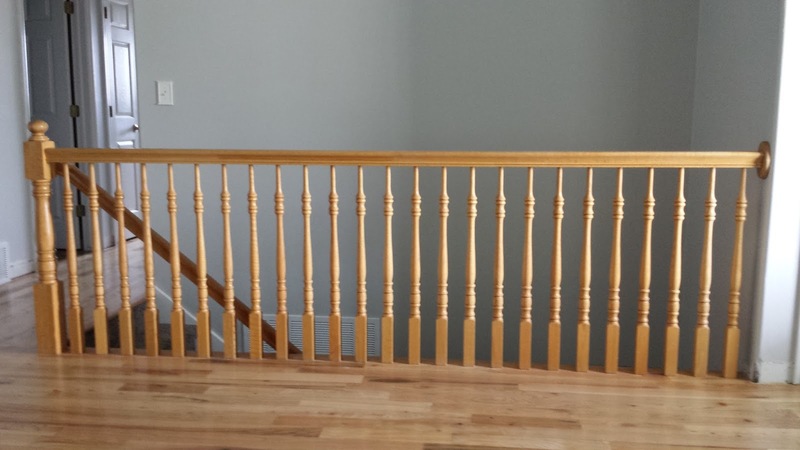 Which was a HUGE improvement, but did nothing to enhance the banister. Then the day came when we removed the spindles and top banister to make way for our beautifully refinished hardwood floor. 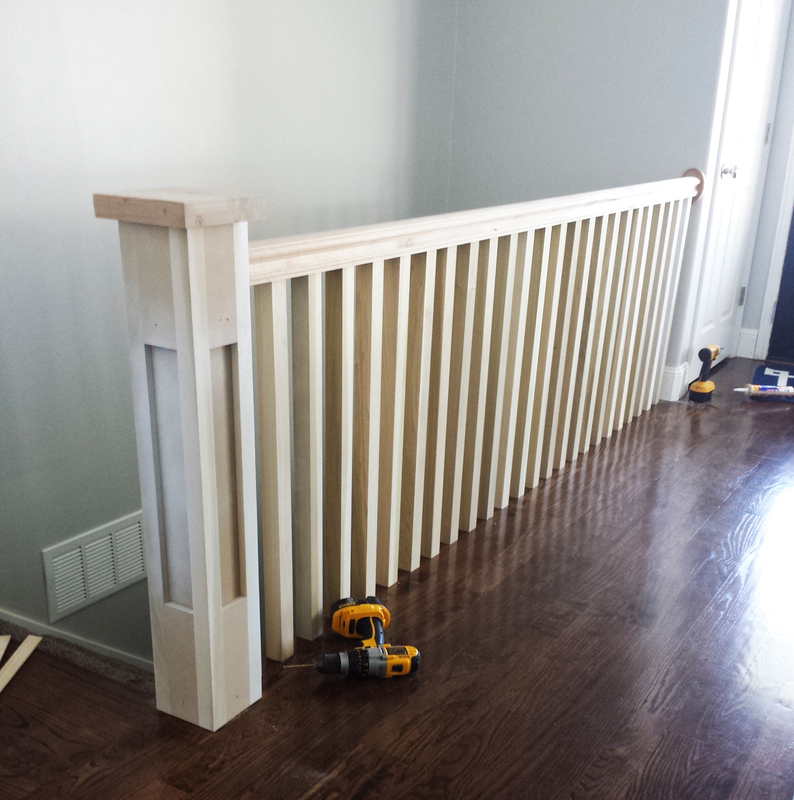 When the floor had properly cured, my fantastic contractor, Byron, came and installed a new banister. He put a boxed-out newel post over the current one and screwed it into place to prevent any damage to the floor. Seriously, if you need any heavy-duty home improvement help, email me or leave a comment and I'll get you Byron's contact info. Over the next few days, I stained the banister and painted the spindles white. She really adds to my front living area. And those hardwood floors? SWOON. That looks great Anna Rose! And, I actually will need some stuff done. Does he do doors? Emily, he hung all of our doors downstairs and installed a new door upstairs. He also put all new door knobs on all of our doors. I'll email you with his contact information. He's awesome. It looks great! What a change! This is fantastic. We have the same banister and it begs for something like this to be done. I am curious, why didn't you paint the spindles first, before installation? Seems like that would have been easier, or am I missing something? I love the color stain you chose. 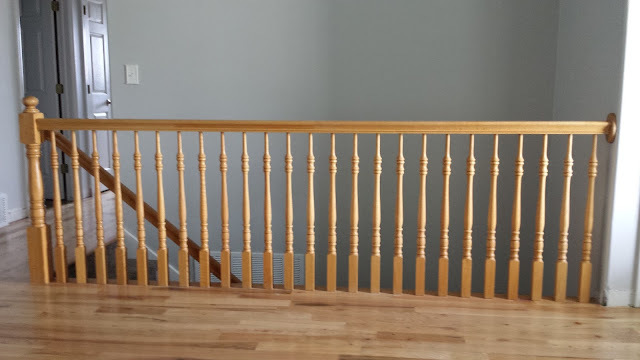 Your banister looks great. Could you send me info about your contractor? 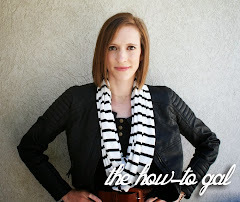 Your about page says you are in Utah, does your contractor work in the Salt Lake valley? Michelle, I just sent you a direct email with his info! Thanks! 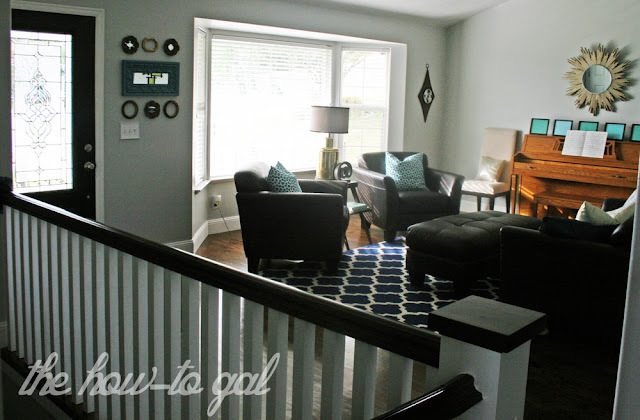 Where did you find the newel post on your banister? I can't find anything like that!! What color did you use on the railings? Thanks!